Michael Korenblit is co-author of UNTIL WE MEET AGAIN, A True Story of Love and Survival in the Holocaust. This is the true story of his parents, Manya and Meyer Korenblit, who are Holocaust survivors. 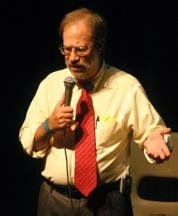 He speaks to students, throughout the United States, about the lessons of the Holocaust and how it relates to issues of today. 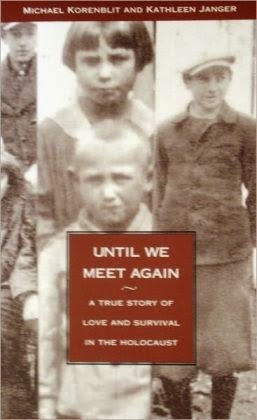 “Until We Meet Again” reads like a novel, yet tells the compelling true story of two families decimated by the Holocaust. In 1942 in a small town in Poland, 17-year-old Manya goes in hiding with her sweetheart, Meyer, also 17, & his family. For three long years, Manya & Meyer endure the loss of parents & siblings, separation from each other, & the horrors of labor /concentration / extermination camps, including Auschwitz – but are helped at key points by courageous Polish Catholics & are constantly sustained by their faith & their love for each other. Co-authored by their son Michael, “Until We Meet Again” has been praised by historians for its vivid portrayal of the times, by teachers for its educational significance & by all readers for its absorbing & inspiring narrative. 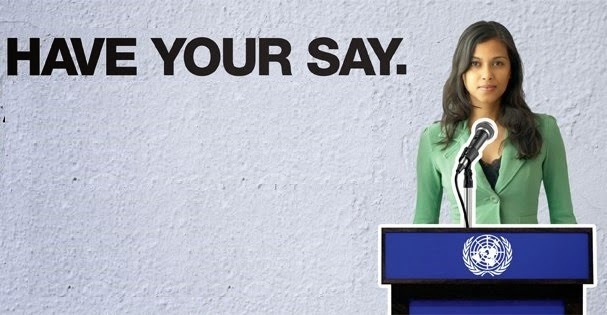 If you were the Secretary-General of the United Nations and you wanted to gather public comments on world goals for the next 15 years, where would you begin? Certainly, you would want to have public listening sessions — Town Halls meetings, so to speak — in some of the leading cities of the world. You might convene a session in London or Moscow. Paris. Beijing. Cairo. Jakarta. 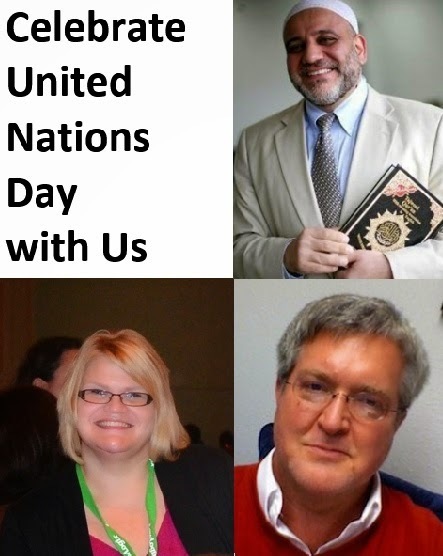 The members of the Oklahoma City chapter of the United Nations Association are proud to announce that a “Community Consultation” meeting will be held in Edmond, Oklahoma, for the purpose of collecting public comments / questions / suggestions / input into the UN’s Post-2015 Sustainable Development Goals. The Community Consultation will take place on Saturday, November 15th, from 9am to 1pm, at the University of Central Oklahoma. You are invited to participate! How should the world continue its efforts to end hunger, achieve food security and improved nutrition, and promote sustainable agriculture? How do we ensure inclusive and equitable quality education and promote life-long learning opportunities for all? How do we achieve gender equality and empower all women and girls? How do we ensure access to affordable, reliable, sustainable, and modern energy for all? How do we make cities and human settlements inclusive, safe, resilient and sustainable? The comments we receive will be collected and put into a report to our Washington, DC, office of the United Nations Association of the USA. From there, your comments will be shared with Secretary-General Ban Ki-moon and other international leaders who will prepare the final iteration of the UN’s Post-2015 Goals. The world is at a decision point. Over the course of the next 15 years, we have the opportunity to end extreme poverty. We can eradicate polio, once and for all. We can control malaria, promote increased political freedom, and put an end to child labor. We can open the doors of education to everyone — boys and girls, alike. All of these opportunities are ahead of us. The first step to achieving these results is to decide, as a global community, that these are the goals we wish to accomplish. That’s what the Post-2015 Sustainable Development Goals are all about. It is a chance to define the values that are important to us. It is a process by which global priorities will be established. It is how the human race will say, with one voice, this is the world we want. Come and participate with us. Share your ideas. Express your thoughts. Let your voice be heard. More details about the Community Consultation will be announced soon. We hope to see you on Saturday, November 15th! 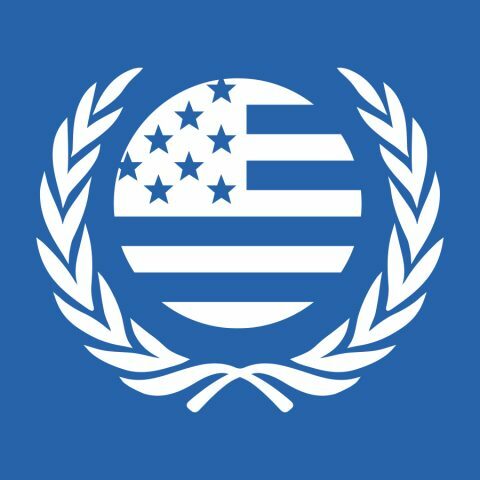 To receive information about future programs and activities of our Oklahoma City chapter of the United Nations Association, please be sure to sign up for our email list … HERE. Thanks! The current violent onslaught against the Syria town of Kobani is the latest dramatic example of why the life-saving work of the UN Refugee Agency is essential in today’s world. By the time our UN Day Luncheon program takes place next Saturday, it is possible that Kobani may have fallen to the ISIS militants. If that happens, then a new wave of refugees may begin in Iraq or elsewhere in Syria. There is speculation that Baghdad may be the next target of the ISIS jihadists. 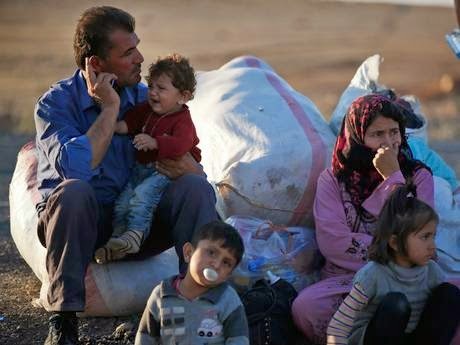 The prospect of a million people fleeing from the Iraqi capital is chillingly real. The UN Refugee Agency has twice been the recipient of the Nobel Prize for Peace. It is a recognition that, year in and year out, the world needs the United Nations and its specialized agencies. “…The problem of refugees is one we encounter in every part of the world. We are face to face with a veritable flood of human catastrophe and suffering, both physical and psychological. “The Office of the High Commissioner for Refugees has, in the opinion of the Committee, carried out work of major importance to assist refugees, despite the many political difficulties with which it has had to contend. This work is supported and supplemented by the large-scale contributions made by other international organisations, state-sponsored as well as private…. When we meet on Saturday, we will reflect on the platform of human rights upon which the work of the UN Refugee Agency is built. We will consider America’s response to the present crisis — both as a national security concern and as a response of individuals acting in community. Imam Imad Enchassi — the son of a refugee, a man who has lived in a refugee camp, and a man of faith who is celebrated as a defender of vulnerable populations. Please join us in this timely discussion of one of the most profound issues facing our world today. Tickets are on sale until Tuesday at Noon. After that, our online registration form will be closed. Reserve your seat today … We hope to see you on Saturday, October 18th. 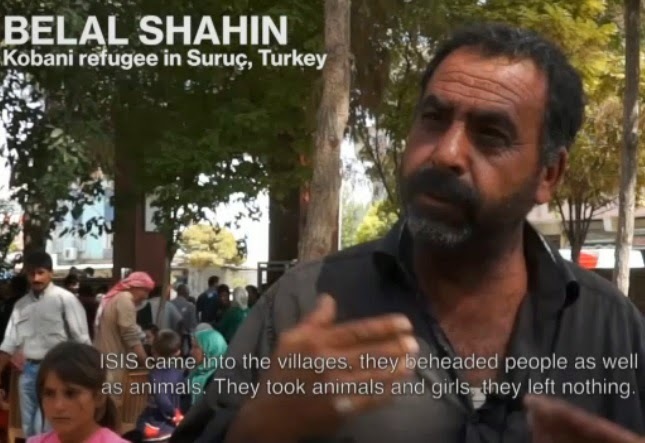 SURUC, Turkey, October 8 (UNHCR) – Faysal thought that the conflict plaguing Syria since March 2011 had bypassed his home in the north, so he was stunned when the whirlwind of violence came recently to Kobane (Ayn al-Arab). The 35-year-old civil servant had long seen TV news reports of Syrians fleeing into neighbouring countries from other parts of Syria. It filled him and his wife, a teacher, with a huge sadness. But somehow he believed that his family, including three children, was safe on the border with Turkey. That all changed in mid-September, when ISIS fighters launched a major offensive to capture Kobane. The group had attacked the predominantly Kurdish area several months before, but this attack was different. Now, the militants were using tanks and artillery in addition to small arms, Faysal said. Under cover of darkness, Faysal gathered his family and fled to the border, carrying his 90-year-old father, who was barely conscious, and skirting minefields along the way…. 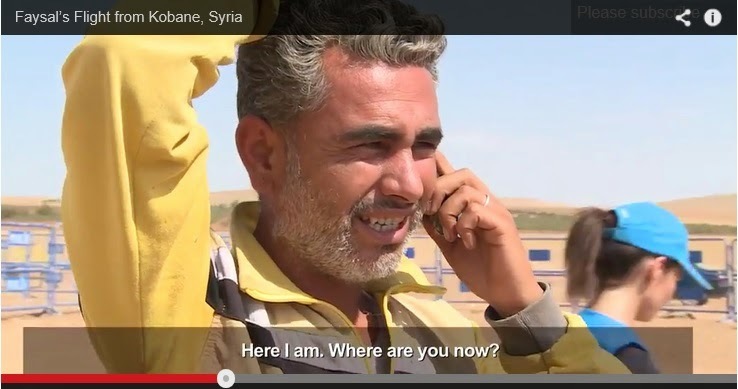 — a 4-minute video from the UN Refugee Agency.